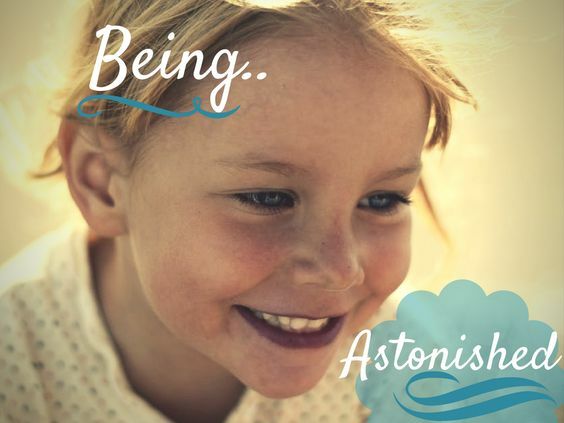 Lately these four words have spoken profound volumes in my life. With the busy fast paced work of collaborative parish life, my own vocation as wife and mother, and the decision of putting our own house on the market,there is such solace in this simple prayer. In an Ignatian practice of pause, time spent in contemplation of each word prayerfully leads us to consider what God’s word means for our lives today. All that is within creation is God’s alone. From the smallest grain of sand to the tallest mountain, from the fiercest storm to the most placid waters it is all His and in His control. From the tiniest spark of life placed by the Creator, to the life nearing the end of its days- God is present and attentive to our cry. In awestruck wonder I stand amidst it all and offer my gratitude both for the grandeur of all I see, but also for my place in His plan. This week my cousin was fatally killed when struck by an automobile while crossing the street. His childhood was a difficult one growing up on the outskirts of Chicago, and he fell easily into a life of addictions as did his sister who died early of an overdose.On and off again homeless, he did have moments of stability but none lasted very long. With his mother and father now gone too from cancer, there were but a few that were close to him. Though he too, I believe, was loved dearly by his heavenly Father, he longed for that sense of belonging here on earth. The reported images of his passing, struck and laying dead in the middle of the road left me immediately heartbroken. Yet, how could I let my grief consume me when I know the certainty of the love and mercy of God’s embrace? He is Yours now Father. May his struggle here meet your joy and forgiveness, and may he know that he is truly missed. Here there is a beautiful recognition that God is God and I quite simply am not. Truthfully, I do not want my life to follow my own inclinations, despite my repeated attempts to persuade or otherwise take the reins at times. This week in bible study we turned towards Genesis-walking in the peace of the Garden, and experiencing the pain of our disobedience and prideful use of will. Do we too desire to have the wisdom of God? Whatever would we do if we did? I do not know about you, but I haven’t always made the best decisions when I have acted on my own. What are the consequences even when we have achieved our immediate desire? The key can be found in the search itself- the longing for happiness. So often, we look for happiness not eternally, but rather satisfy ourselves with temporary happiness. Those things which pacify us but disappear quickly are our forbidden fruit. In consuming them they give us a feeling of self-empowerment, and control and cloud the reality of our utter dependence on God. Oh, Lord please help my will to align with Yours! Please make straight my crooked paths and set everything right when I have forgotten your loving ways. Though I do not know the way ahead, I trust that you do. Release of the outcome to the One in control of it all is essential in a life directed towards God’s will. His time, His direction, His edits and our “YES!”. Are we saying yes daily but our more accurate response is a maybe? As anyone who has gone through the process of selling a home can attest to..one wishes not only for a good price but for the pain to end quickly. Living in a constant state of readiness and cleanliness is a work of wonder with a family of boys and a playful German Shepherd. Only week two and I who began this quest in an open surrender am already petitioning God to walk the right family through our home. I know, that God’s answer might be yes..but it may be a no, or perhaps later. After we do all that we can do to prepare each day, what remains for each of us is for the resolve of the situation to “Be done”. Reflect: How do we respond when situations are slower than unexpected, or end unfavorably for what we would have desired? 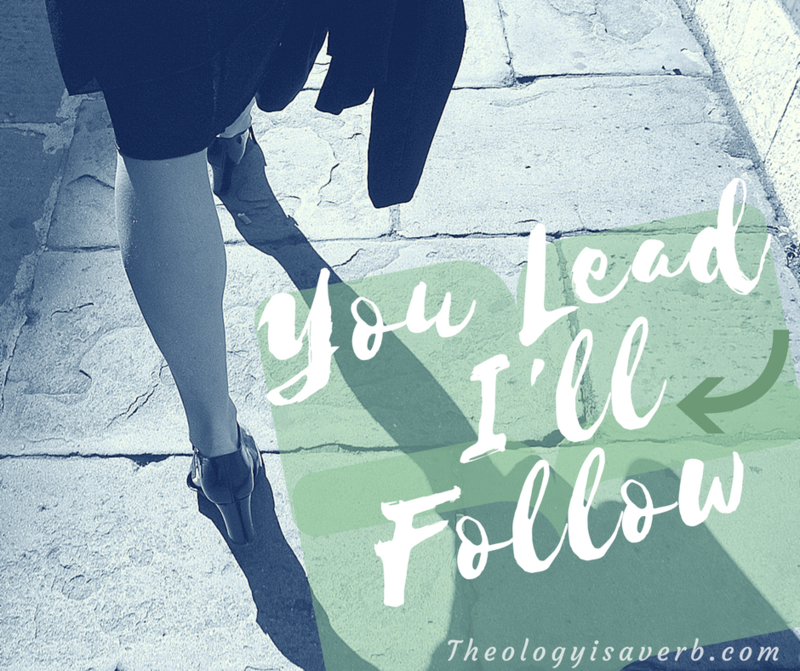 Can we let God who has the big picture take the lead? If not, what could we do differently? As a child, I reveled at the picture puzzle games that challenged each contestant with keen eyes to discover a familiar item amid a quite often cluttered larger scene. And with each object found, was a renewed sense of joy and understanding of the next step of the task at hand. Yet, somewhere between childhood and maturity the thrill and purpose of the search can time and again allude us and at times even eclipse the delight of discovery. Such was the course of a day that was to be experienced quite recently. Waking up late, and feeling “behind the 8 ball”, I had literally jumped feet first into a scene not of my own design or desire. With limited movement, either physically or spiritually, all that could initially be seen was the clutter. Misplaced item here, piles of unattended objects there, I longed for clarity of purpose- at the very least, for the frustration and confusion to leave me be. In this life sized puzzle of sorts it became suddenly obvious that the first hidden object of my search was indeed Christ himself. He, and only he, was the hingepin to finding my next piece of my day and the surest course of making sense of it all. So began my prayer- an inner groan, offered up for peace of spirit and discernment in the way God wanted me to move in my day. A prayerful guide to mindful reflection, the daily Examen prayer, is at its heart a path to awareness and renewed discovery. 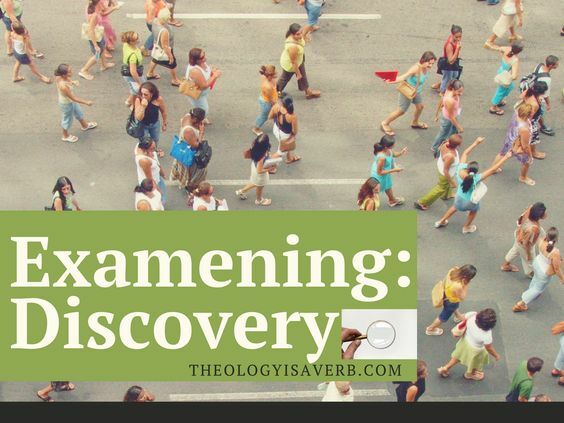 Just what exactly are we discovering? Perhaps simply our way back to God and his will in our daily walk. Sometimes, we may not have strayed far but have just lost sight of Christ within the daily tasks we tend to for family and work. How long till we see the results? That too cannot be rushed, as we well know that God’s timing is not our own. I will say, however, that I have yet to be disappointed to discover that whatever I am going through, that God is there in the midst of it all. Would this decision lead me or others on a life affirming course? Am I filled with confusion, doubt, fear or instead, encouraged and invited gently to consider the next step? Spiritual direction, it seems to me, is a beautiful dance. An intimate sharing of self, a gracious reception of the Other. Each step towards self knowledge is but a lyrical movement towards acceptance of the pre-existing dispositions and disequilibrium within our lives. Oh the freedom of movement that comes with self acceptance! 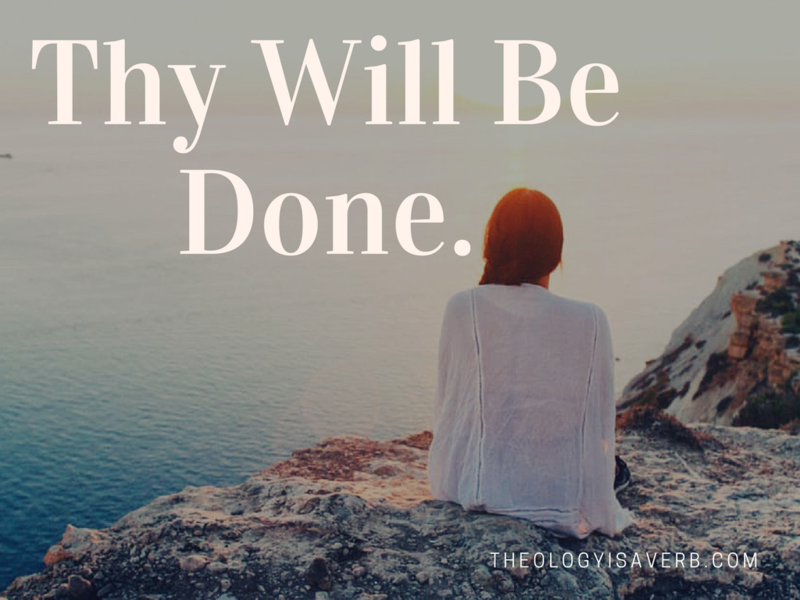 No longer are we resolutely restrained by the confines of our former self, but in desiring to model the steps of our divine Partner we can finally abandon our will for His. This is what St. Ignatius would refer to as resignation or indifference, a course of abandonment from self seeking fulfillment to a desire to know and follow the will of God for our lives. This conversion of self and discernment of our next steps is, of course, the fruit of spiritual direction. Yet, as mankind is by nature relational, this dance reaches its fullest potential in dialogue with and under the guidance of a trained spiritual director. 1. “Spiritual direction cannot be confined to the religious realm, as though this existed in isolation, but must deal with the whole man and his actual problems” Friedrich Wolf, Encyclopedia of Theology, ed. Karl Rahner. Because of this, the more authentic and truthful you with are with the challenges you face in spiritual direction- the more helpful the time spent will be. 2. You must be open to hearing and giving consideration to what your spiritual director notices about you and your situation without automatically defending a position. In entering spiritual direction, you are eliciting a consulting perspective, not asking simply for an echo of your own. You may have not noticed something simply because you are too close, or to familiar with its occurrence. 3. If there is something in particular that you are aware of holding you back before a session, and your spiritual director is a priest, ask to begin with the sacrament of reconciliation. If this is the case but you are seeing a lay spiritual director, consider reconciliation at a nearby parish before your session. Otherwise, you may feel very self conscious of the sin, guilt or shame you are harboring and unable to be as open and ready to be moved through direction. 4. Spiritual direction does compel a response or corresponding action by you. Simply speaking, once we see ourselves truthfully, in the light of faith, we begin to desire change. When we seek to follow Christ, we also wish to model our lives after him. 5. Letting go of that which prevents us from growing spiritually closer to God. Very few choices in our life are without consequences, be they good or bad. So it goes without saying that which doesn’t bring us closer to who God has intended us to be, is at best keeping us spiritually delayed. 6. Recognizing who we are now, allows us to envision who God wants us to be and to invite God into the decision making process. This is the ideal environment for spiritual growth! Our relationship with God grows as we partner together in all of the decisions-big and small- that come before us. We may just find that we are less stressed about the outcome, because we trust that we ask God to guide us in the first place! Have you thought about seeking greater direction in your life? If so, research local spiritual directors in your area to find one that might be accepting new directees. If you already have a spiritual director, does he/she challenge you to see things from a new perspective? Are you resisting or accepting of the task ahead? Early morning dew, the scent of grateful peonies and roses greet me. The aroma of homemade strawberry rhubarb and blackberry pies cooling midday meet me. Nighttime breezes carrying a day well spent at play, leave me ..the promise of yet another summer day in the South. My Grandmother’s house was my favorite place to be as a child, particularly in the summertime. What might appear as lacking in structure or activity, each day was abundant in hidden treasures that could only be discovered by a slower pace and ready spirit. All this I too might have missed had I not been seeking- albeit anticipating- God’s respondent grace and presence. Grandma’s hard work in the garden wafted through her small home as she baked and canned the fruits of each day’s gifts. Receiving the present she also prepared for the future, when these would not be as easily gathered. Mindful also that nothing given should ever be wasted. Indeed, there are so many indelible memories forever tied to the smells of my childhood spent with my Grandma. Sunday mornings brought an even more unique scent- as my Grandma readied herself for church service. Not accustomed to wearing makeup or perfume during the week, grandma was on this day a delightful combination of Ivory soap, Jergens lotion, Covergirl makeup and Emeraude perfume. How I loved this smell, so much so that I would take it all in as I cuddled close before church. Infused with the understanding that Sunday’s were intended to be special, she put forth her best for God. Many years later I would smell that smell once again, over 1, 400 miles apart. Then 33 and in my third trimester I could not travel as she feel seriously ill this time. My heart was nonetheless with her, and almost without pause I found myself praying for her throughout the day. God heard my prayer, and knew the close bond he had established between us would not end in death. Only moments before the phone rang, God gave me an otherwise inexplicable gift-my Grandmother visited me. In the shower, I suddenly and overwhelming experienced the all enveloping scent and presence of my Grandmother. It was all around me, permeating every space with love and memories. As tears of joy and grief streamed down my face, I said my goodbyes- for now, fully embracing the gift of being with her again. Profoundly aware that God was allowing me to experience this sacred moment of my Grandmother’s passing from this world to the next. Then just as suddenly as she had come, she was gone. Though I tried to recover the scent for an instant, I knew that she was no longer there. As the phone rang, with my cousin who had been sitting with her in these last few moments on the line, I knew her words before they were spoken. I then shared with her how I knew and the unbelievable love that I had felt in these last moments.Together we cried tears of joy for the gifts given to be with our grandmother all these years. 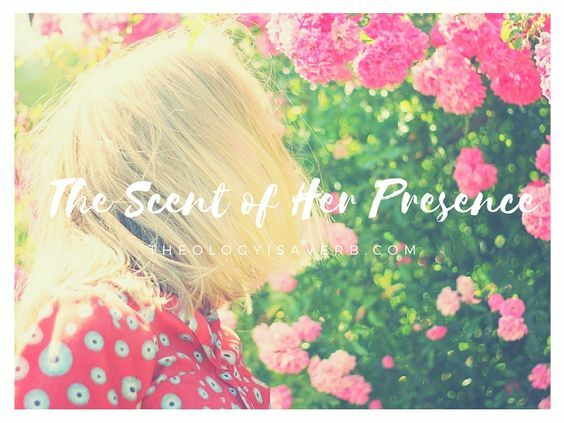 Though eleven years have now passed- the fond memories of growing up through every season infused with the scent of her presence will forever remain, evidence of the world unseen . There are, however, times we cannot seem to hear God’s answer amidst the din around us, the circumstance itself or even over our own continuous cries for help. We may very well ask ourselves, just where has our heavenly Father gone? Or better still, what has been done or not done to cause Him to withdraw his favor and presence? 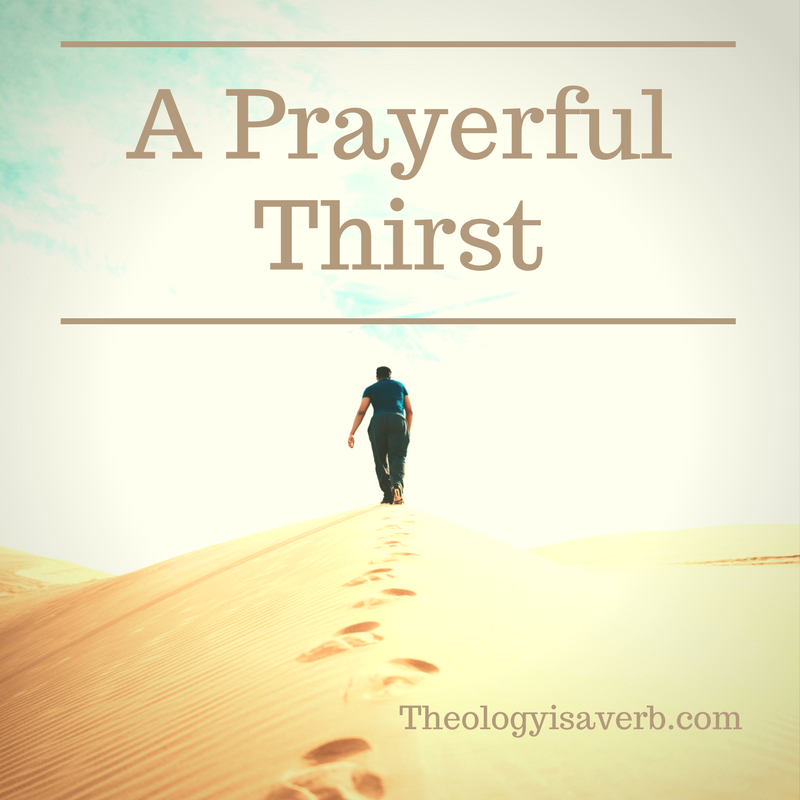 Remaining centered on Christ when our prayer is arid can be difficult at best. Yet, if we do not then everything else that we do, while perhaps humanitarian, is insufficient and even fruitless for we are lacking our source for wisdom, strength and guidance. It is like a tree with a great expansive reach but very shallow roots. This tree cannot weather the storms that blow us this way and that, or seasons of dryness where showers of blessings seem scarce. Conversely, deep roots sourced in Christ guide us to where we can find new strength and grace when the world around us has changed. When prayer is difficult..Pray More. St. Ignatius does not provide easy words for us here and yet it is the very thing we are being asked to do. The sadness, and longing we feel is what St. Ignatius calls spiritual desolation. It can appear at times as boredom, dissatisfaction, frustration or as complete abandonment. While it is often said that absence makes the heart grow fonder, for the prayer seeker it is not only an undesired course but therein can lie a fear that it may never be found again. For, intimacy in prayer is such an priceless treasure, that once experienced and lost even in the smallest way or for the shortest time is deeply missed. These are the moments we long to return to when we suddenly become aware of our distance from God or sense that we are seemingly grappling about in the dark. We cannot, however, begin to pridefully think that we were deserving through our own efforts. And still, it is not solely the journey of the forlorn disciple as the saints too walked this arid desert path of prayer on occasion. What most assuredly is the defining factor is our resolve to trust in God’s will and perseverance in the struggle . St. Teresa of Calcutta expressed in her private letters (Come Be My Light) her own spiritual desert that lasted over half a century. 50 years of coming to prayer waiting to hear God’s voice yet instead experiencing silence and solitude. Many a would be follower of Christ might have considered giving up by this time. But this, as she grew to realize, would be her cross one that would help her begin to glimpse the suffering that Christ endured himself. And while his voice was quieted, God met St Teresa in the faces of the poor and marginalized in the streets of Calcutta. Her work would, as she noted, allow the graced opportunity with the daily interaction with the Christ before her. We can learn much from the remedy that St. Teresa exemplifies through her time of spiritual emptiness and darkness. The “light” that she would find would not be found in lofty highs of prayer but in the everyday moments of ordinary time. Time spent with a priority of making space for God through devotion with the Blessed Sacrament and the prayers of the rosary became the guide for their work and the source of strength and encouragement to continue on. 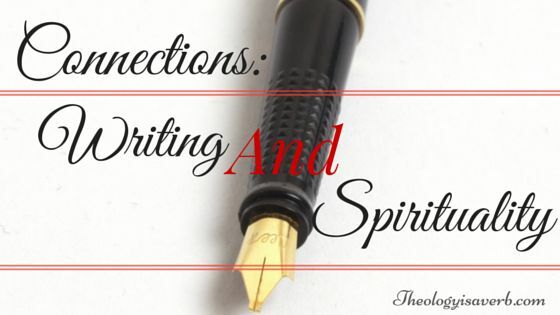 What is it that is occupying my head and heart space these days? Have I invited God into these instances or sought to limit his presence in my life to where I would like him to be? How do I receive this time of testing? Am I seeking only that the pain be taken away or am I trusting that though I cannot see the purpose or way forward that God does? Even in this time of dryness, what do I have to offer through my daily interactions with others that I perhaps have not considered before? Last weekend I experienced the gift of an Ignatian silent directed retreat at Campion Retreat House in Weston, MA . Just the thought of an unhurried, unscheduled day and release of self-imposed expectations was enough to fill my heart with joy. Teeming with insights and brimming with grace, my soul longed to soak up every moment and respond in gratitude. 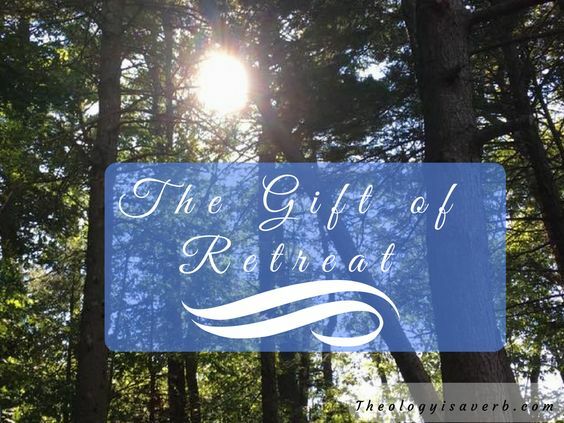 The word gift used here is a very full word as it implies not only what is received by the retreatant but what each person brings to the retreat as well.It is a reciprocal relationship, for truly you are only able to receive when you are willing to offer and surrender all. When there is response and surrender, there is an openness and an emptying, brokenness and renewal, discernment and clarity. A weekend in pure silence..my family playfully remarked might be difficult for someone, like myself, who loved a good conversation. Yet, as the days drew nearer to retreat I was almost giddy with anticipation of this alone time with my heavenly Father. Oh how we fill our days with “noise”, and clatter our prayer with the unnecessary that it’s a wonder we hear his voice at all sometimes! Silence is, for me, not nothingness, but an absence of the commotion and turbulence we are so accustomed to. Thus, silence came to me like a wave of His hand, gently clearing away the seemingly immovable objects I had placed in my path. And with each difficulty surrendered to His care, I could once again discern the sound of His voice calling me home to where I belong. No longer a desire to fill the space, I breathed- taking in the fresh and all encompassing movement of the Holy Spirit. Complete and resting in the grace of His presence. This experience of God is one of encounter, of discovering anew who our Creator is but also who he intends each of us to be. And since we never travel alone in our journey of faith, it is an encounter of Christ in others. While exchanging only prayerful glances, and smiles my soul did exactly this amidst complete silence. From the elderly Jesuit priests in respite, and those preparing and serving our meals, to those also with me on retreat- I encountered both Christ and community. Even still, there was one whom God especially drew me to. One evening in prayer, I heard the prompting to not sleep yet, but to gather my rosary and the young woman next door and take a rosary walk. Without questioning and gently tapping on her door, I held up my rosary and moved my fingers on the other hand to signal a walk. Met with the biggest smile, I heard her unspoken yes. Unknowingly, she had just been praying for a prayer group. There we were joyfully moving the beads on our rosaries and lifting one another in prayer. Every step had purpose and together we embraced the grace of community. Having explored our surroundings previously, our steps quickened as we neared Our Lady in the small grotto. Looking at one another, we couldn’t hide the pure delight and recognition that this place was special to each of us. Perhaps you find it difficult to go away on retreat right now. If so, try to carve instead some time in your day to consider and embrace these fruits of retreat found in reciprocity, silence and encounter.